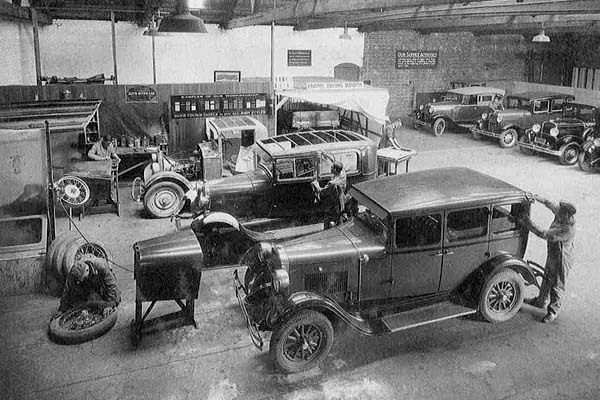 Learn about Team Hutchinson Ford's exciting history dating back to the 1840's. See an excerpt from our book below! First published in December 2004. After the arrival of the French at Akaroa on the Banks Peninsula in 1840, the British took a greater interest in the area. Colonel William Wakefield asked that the New Zealand Company's proposed Nelson settlement be established at Lyttelton, but the presence of the French stopped this. The New Zealand Company had successfully established settlements at Wellington and Wanganui, before being thwarted by Lt. Governor Hobson who ruled no further land sales be made south of Wellington, as too many land claims on Banks Peninsula were unresolved. Hobson offered Warkworth for settlement instead. In 1846, followed a bungled crown land deed agreement with Ngai Tahu, the incoming Governor George Grey waived the Crown’s right to pre-emption over Maori land in the South Island, making way for private land purchase. Grey also made money available to the Canterbury Association. The Association was formed in London, following a partnership between Edward Gibbon Wakefield, Col Wakefield's brother, and John Robert Godley in 1847-1848. Its aims were to form "the most Church of England country in the world”, and its 53 members included two archbishops, seven bishops, 14 peers, four baronets, and 16 members of parliament. The Canterbury Pilgrims’ and Early Settlers’ Association founded the South Island settlement, with the first ship of ‘Canterbury Pilgrims’ arriving aboard the Charlotte Jane on December 16 1850 at Port Cooper (Lyttelton). The Randolf arrived the same afternoon, the Sir George Seymour the next morning, and the Cressy, which had sprung a foremast, on December 27. The 782 settlers who arrived then walked on the Bridle Path over the Port Hills to find their allotments. Three towns had been surveyed Lyttelton, Sumner and Christchurch and Jollie, the surveyor, laid the plans in front of Captain Joseph Thomas, the Association surveyor, who pulled out his Peerage, and read out likely street names. When Jollie agreed, the name was written on the street, and it was baptised. Lyttelton was first, followed by Sumner, and finally Christchurch took what was left over. There were already 1,000 or so settlers in the area, known as 'Pre-Adamites', the first of whom, William Deans, settled at Dean’s Bush in 1843. The centre of Christchurch is marked by the magnificent cathedral, commenced in 1864 and consecrated 40 years later. Today, the city has a population approaching 400,000, and has expanded to be the South Island’s principal commercial centre through which flows the rich primary produce of the Canterbury district. The city is noted for its beautiful gardens, fine buildings, and an essentially English culture, with museums, art galleries and university. Henry J Ranger started the first Ford agency in Christchurch about 1910, in Chester Street. Many of the early Model T Fords he sold had special bodies made locally in Christchurch to customer requirements. The bodies were often quite different from those made by Ford, with luxurious leather seating and even ‘Landau’ bodies, so the chauffer could sit separately from his passengers. Wire spoke wheels were an option. The area had comparatively good roads by New Zealand standards and Christchurch was one of the first places to have an Automobile Association. When Henry Ranger retired, he sold out to Bob Jay and Bob Wright, who formed the Canterbury Motor Company Ltd about 1920. After the 1921 recession this company shifted to premises at 94 Tuam Street, and was then known as Jay & Wright Ltd. However, the premises were not really satisfactory and sales and service suffered as a result. Jay & Wright Ltd was finally bought out in May 1925 by Colonial Motor Company. 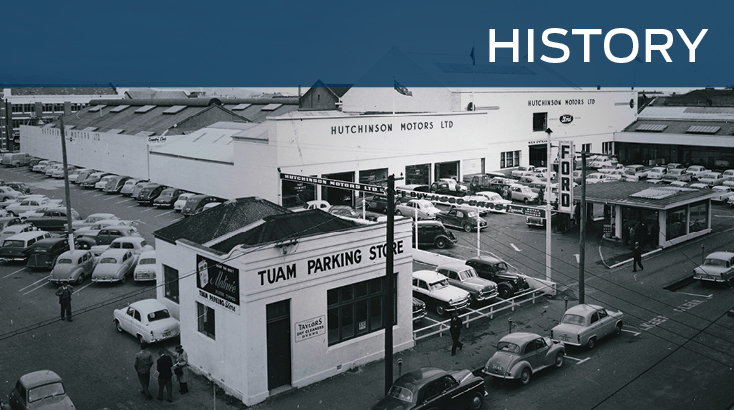 The dealership moved to larger leased premises at 162-166 Tuam Street, and the company was renamed Ford Motors (Canterbury) Ltd. George Duncalf, manager of Colonial Motor Company Timaru branch, was transferred to take over the dealership. 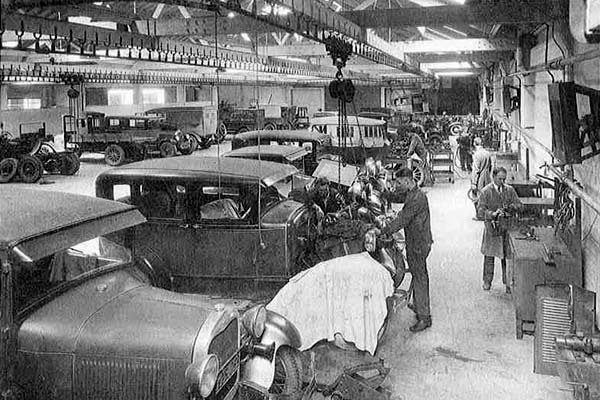 Within a short time the 'New Beauty' Model T was introduced, and more than 50 people were working at the enlarged dealership. Tractors, which ran on kerosene, formed a major part of the operation in the early years, with sales averaging one a day. This kept two full time servicemen busy, traveling around farms to carry out repairs and servicing. When Williams, Stephens & Co, timber and hardware merchants, sawmillers and joiners, offered their Tuam Street property for sale in September 1929 it was bought by Colonial Motor Company. The extensive two acre property, which ran between Tuam and St Asaph Streets, offered more scope than the leased property, and had substantial buildings set back from the Tuam Street frontage, making it ideal for vehicle display. Over a year after taking possession, and many alterations – building a petrol station, lubrication bays, offices, parts and service facilities and a vehicle ramp to the second floor – Ford Motors Canterbury moved in. Although the Depression was at its worst point and trading was very tough, the services offered were of a sufficient standard to carry the business through this difficult period. Nevertheless, staff numbers dropped to 34. Clarrie Cochrane became service manager in 1932, having started at Jay & Wright in 1924 and working his way up to service foreman. In 1973 he remembered that, in early 1932, the second floor at Tuam Street was set up as a modern spray painting shop. Prior to this, painting was carried out with a brush. The first gas analyser in New Zealand was installed in 1933, taking the guesswork out of carburettor tuning. An electrical workshop was added in 1933. 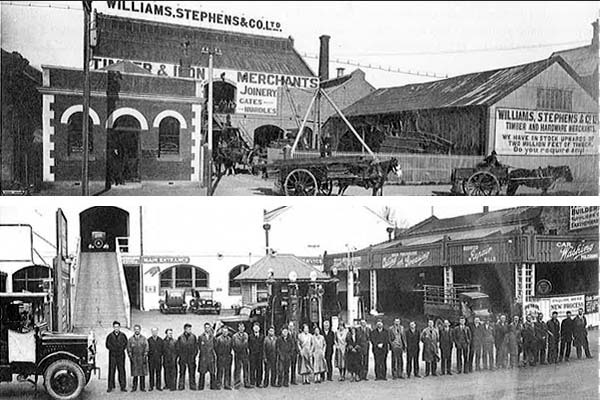 By then the business was offering a very comprehensive range of services, including new and used car, truck and tractor sales, parts and petrol bowser sales, lubrication, tune-up, overhaul and reconditioning, trimming, electrical, tyres, minor panel repairs and vehicle painting, plus vehicle recovery and farm servicing. The first Ford V8 cars and trucks arrived in 1932. Orm Hutchinson was very innovative and loved new challenges. In 1936 he helped his staff achieve a groundbreaking fleet deal with Gold Band Taxis in Christchurch. The 52 new Ford V8s Fordor models, factory painted in fleet colours, were delivered to the Gold Band stand in Cathedral Square, and 52 Whippets traded in. No cash changed hands, the cars operated 24 hours a day, and weekly hire purchase payments were made. At the end of three years the cars, having covered 300,000 miles, were traded back for new ones, again with no cash deposit, and just weekly hire purchase payments. The otherwise unpaid drivers received about 33% of their takings on each shift. 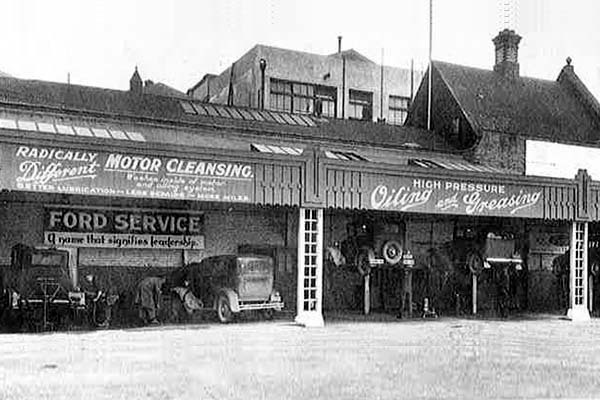 When Ford moved to New Zealand in 1936 and took over assembly and distribution from Colonial Motor Company, all dealers had to remove 'Ford' from their names, and Ford Motors Canterbury Ltd became Hutchinson Motors Ltd. Ford also removed the Fordson tractor franchise from all dealers, claiming they had not achieved full sales potential, and believing greater sales would be achieved with a specialist organisation. However, Ford had not taken account for the effects of the Depression and sales fell further with the new distributor. New vehicle sales increased quickly in the mid-1930s, but used cars were a problem. Hutchinson Motors, which then had 30 salesmen and 30% of new vehicle market share, had difficulty keeping used car stock numbers below 150 units. Other dealers had the same problem – many cars were not refurbished or displayed properly. A decision was made to form a separate used car sales division and, after and interminable hunt for premises, the former Tuam Street Olympia skating rink was bought a little east of the dealership, and Olympia Used Cars Ltd set up. A competition was staged to launch the new business using a Ford V8 light delivery, put up on blocks and set running in gear, with a mask over the dash. The person who was closest to guessing the speedometer reading at the end of 24 hours won the vehicle. This was too good to be true, and a huge crowd blocked Tuam Street, filled the building, and delayed Mayor Robert McFarlane from opening the new business. Olympia Used Cars’ building was 200ft deep with 100ft frontage and displayed 80 used cars, greatly increasing sale rates and, with this competitive advantage, Hutchinson's sold more new cars. After the Second World War began in 1939, there were virtually no new cars for six years and the government immediately requisitioned all 1938 and 1939 used cars. Petrol was severely rationed, 4 gallons per month for small cars, 8 gallons for large, which meant many people walked, cycled or took the infrequent bus. A large proportion of Hutchinson's staff members volunteered to serve with the armed forces, with many wounded in action and two tragically killed. It was a very trying time for management who had great difficulty making ends meet. However, Hutchinson's was one of the few businesses to keep everyone employed and operated at a profit right through the war. During the war Olympia Used Cars was closed down and the building leased to RNZAF. After the war, with all the shortages, it was decided to sell the building to Champion Motors who began assembling Standard cars there for New Zealand. An innovation during the war was the 'gas bag' developed for small cars, and gas producers for larger cars. Although neither gave a great range, and slow starting problems were annoying, it meant that people could continue to go about their business without using petrol. During the war, the Christchurch City Council was short of omnibuses, and Hutchinson's adapted 21 standard Ford V8 trucks to forward control buses, which operated very successfully for many years. After the end of the war, Canadian V8 bus chassis were some of the first commercial vehicles assembled and the council increased its fleet with a number of these. Nearly all staff returned from overseas, and the business picked up again. 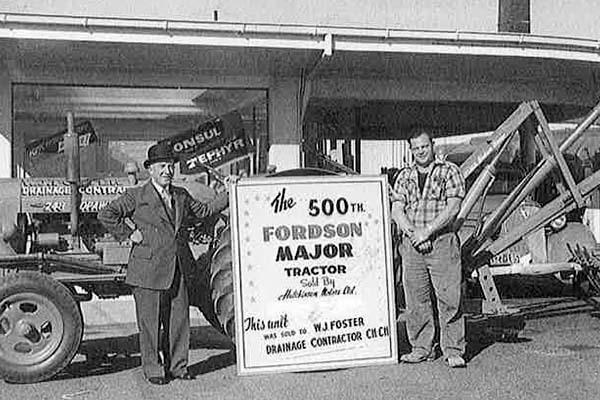 New cars were to remain short for another 25 years, so it was particularly fortunate that the Fordson tractor franchise reverted to Ford dealers. In 1946 the new E27N Fordson was introduced with petrol, kerosene and diesel options, and tractor sales took off. Sales were further aided by the 18hp Ford Ferguson introduced in 1947 but, after Henry Ford argued with Harry Ferguson, production of these ceased. Field days were successfully held in many Canterbury locations and tractors once again sold at nearly one a day for a period. With New Zealand's labour shortages after the war as industry developed, the government encouraged selected immigrants from England and Europe, a number of whom Hutchinson Motors employed, finding nearly all of them to be of high calibre, keen to help and work. Their imported skills helped the business immensely. Many of the staff members who went away to the war had seen new machines and industrial processes; some had driven cars and trucks for the first time and most returned with new ideas. Max Snook, who had served in the Air Force, developed new ideas for using tractors, including a way of fitting the hydraulic clamshell, patented by Henry Cross, to an E27N Fordson so that one man, using the ‘Pelican’ loader, could quickly unload railway wagons of bulk materials. This helped ease the country's labour shortage, and nearly every railway yard and contractor in New Zealand bought one. 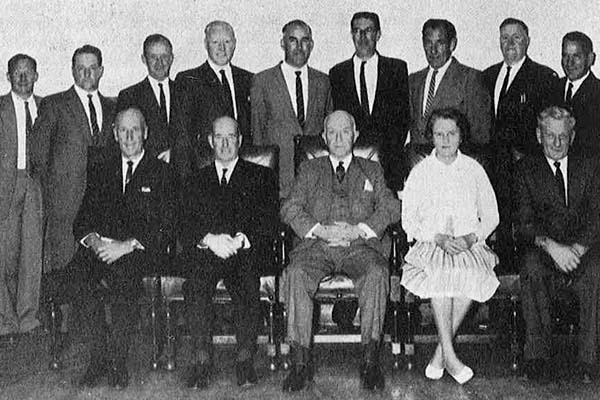 In 1947 Orm Hutchinson was asked to join the Colonial Motor Company board of directors in recognition of his marketing and administrative skills and experience. He had served in the First World War as a gunner in France, and after his experiences in harnessing horses before dawn to tow the guns, he was determined he would never be involved with horses again. Returning home, he replied to a CMC advertisement in 1920 and joined the Motor Industry. Tractors were better than horses and much easier to catch. Ironically, he later developed an interest in harness racing, and was involved with the national administration of this sport. In the 1960s, having turned down a major award, he was awarded the Order of the British Empire in recognition of his services of harness racing. Sales of tractors continued through the 1950s. In 1952, the new 40hp Fordson Major sold very strongly, including to the Chatham Islands, and made Hutchinson Motors a lot of money. Max Snook pioneered the Chatham Islands market, and a serviceman would fly over every six months, sometimes for a week, servicing and repairing the Fordson tractors and machinery on the islands. However, tractors created tremendous pressure on the Tuam Street facilities, as overhauling a tractor can take up the space of four cars. Finding a solution became a headache for Orm Hutchinson. In June 1954 the first 1.5 acres of land was purchased at Sockburn beside the Main South Road. In all, 10 adjoining parcels of land were bought, making five acres in total. Needless to say, it all took time. The land provided a relief valve and plans were submitted to Ford and the council for approval in 1956. Getting the necessary permits slowed everything down. However, construction of the first 120ft x 65ft workshop started in April 1957. As soon as this was ready, tractor sales and service were moved out to the new location. Stage two then commenced, adding another 5,000 sq ft. The sales offices were in a former grocer's shop on the corner of Epsom Road and the staff cafeteria and facilities in another one of the remaining residential houses taken over in the land purchases. A property in Tuam Street belonging to Combined Co-op Distributors, beside the council car park and next to Hutchinson Motors, had been bought in 1952 and was used for tractors until they shifted to Sockburn. This was converted for car display, greatly improving used vehicle sales, and was known as 'the egg floor'. With the introduction of the very popular Thames Trader truck range in 1957, truck sales put pressure on Tuam Street, as trucks also took up a lot more space then cars so Sockburn stage three, a separate workshop of 7,000 sq ft, was proposed. The large cash input required was putting further pressure on resources, but a prefabricated building 40ft x 30ft was found and erected for storage as an interim measure. 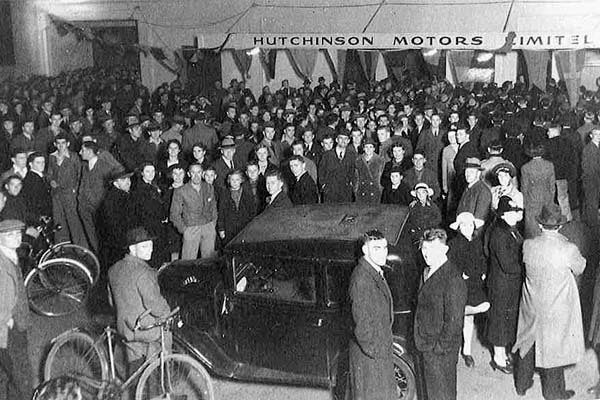 There were now 200 people working at Hutchinson Motors. Meanwhile, new cars were still in very short supply, with severe import restrictions. It was quite difficult to allocate cars because, for every car that arrived, there were 10 buyers, and deciding priorities always offended the other nine who missed out. When the Government introduced the No Remittance Scheme, allowing private imports of new cars using funds held overseas, salesmen from Hutchinson Motors became adept at tracking down Christchurch people with connections with England. Many new cars were sold this way. Because the company could not get enough new cars to satisfy its customers, it was actively buying in and refurbishing used cars for resale. However, display space wasn't large enough, nor was the location. Used cars were better displayed on open lots, where the public had access. By 1964 car volumes had increased significantly, with No Remittance sales now contributing to a third of new car volumes. There was an incentive from Ford of 1 for 1; for every No remittance order sold, the dealer received an additional new allocated car. Hutchinson's salesmen did well, and the volume of No Remittance sales increased significantly as many new ways of creating licenses were exploited. New cars still required considerable servicing in the post-war period, partly because of design, but mostly because of poor New Zealand assembly. Progress was now being made with rust treatment at the factory, but it was not unusual for a car to be semi-rebuilt by dealers, taking hours, and often days. Pre-delivery not only cost money, but took up more space, and was competing with retail servicing work. Ford had now added a number of new dealers in metropolitan areas where populations were expanding. 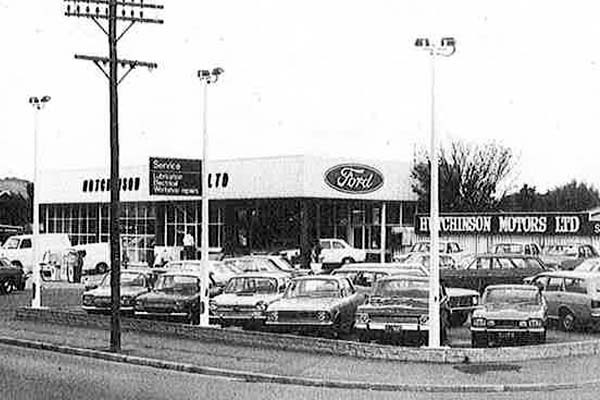 Christchurch had similarly expanded, and after discussion with Ford, it was decided to create Sockburn branch as a separate dealership. 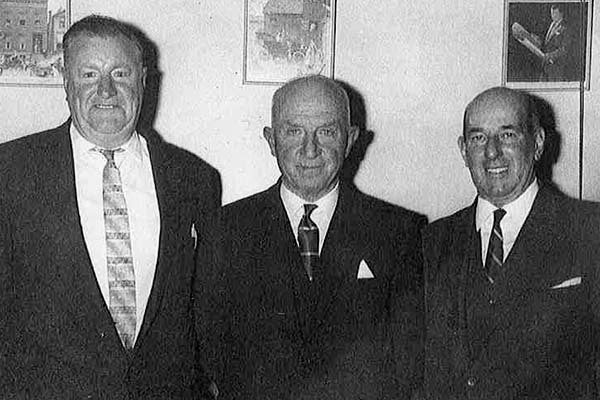 Sockburn Motors Ltd began trading on September 1 1965.
Business was now different, and the allocation of new cars, commercials and tractors was split between the companies. Christchurch was split into two territories, and customers had to decide where they wished to trade. Most of the staff at Sockburn Motors was originally from Hutchinson Motors, and there was still a good deal of co-operation between the companies. 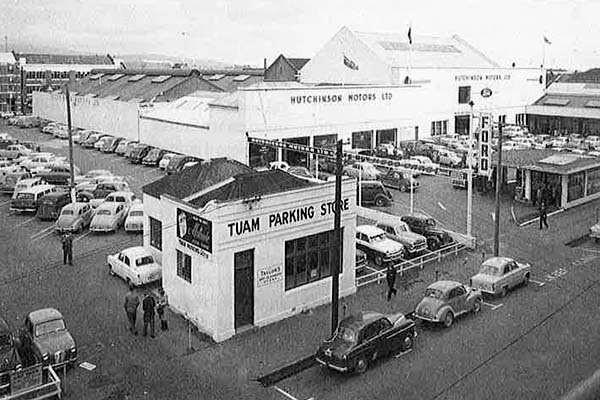 Hutchinson Motors’ Tuam Street facility was again under pressure for space. Orm Hutchinson did his homework on traffic flows and population trends, and the Papanui suburb showed up as the likely place for another branch. That was one thing, finding suitable land was another. Papanui branch was launched in November 1968, following the purchase of a small workshop and one acre of land on the corner of Blair Avenue and Papanui Road, the main northern outlet from the city. A smart new workshop was built for the opening, and used vehicles were displayed beside this. The workshop was kept filled from town and much of the new vehicle preparation was also handled there. Tuam Street was still overloaded, particularly in the workshop and with used cars. The Mark IV Zephyr, introduced in 1966, was a very innovative design with many new features such as disc brakes, but it was also having a nightmare run and giving extensive warranty problems, causing further crowding in the workshop. Papanui Road Branch was working well, but had no room to expand, so the answer was another Branch. More homework showed Sydenham as a likely site. The development of the new Lyttelton road tunnel would shift the rail marshalling yards to Middleton, and free up land in Sydenham for industrial development. A check of traffic densities and registrations showed that the area was a good one. The hunt for a site was on, and the Ace Service Station was purchased, followed by further residential properties alongside, providing nearly an acre in total. Opposition leader and local MP, the Hon Norman J Kirk, opened the new branch in 1970. After the houses were removed, the display site was further developed into two tiers, giving excellent visibility for cars on display. More land was purchased and rezoned beside the Papanui branch and the building was extended, and a service station added in 1970. This brought in a great deal more traffic and sales and repairs increased. From 1970, the new car market freed up following government changes to import licensing and, as more cars became available, the prices of used cars fell. For the first time in 30 years, an ordinary New Zealander could buy a new car, and the market became very competitive, creating new opportunities for Hutchinson Motors. However, the first oil shock of 1973 brought a new dimension to trading, and the rapid escalation of petrol prices. New Zealand had good, cheaper natural gas supplies and the government quickly encouraged gas conversions. The South Island had no natural gas (CNG), but liquefied petroleum gas (LPG) was transportable, and gas conversions kept workshops busy. Ormond Hutchinson retired at the end of March 1973. He had worked for Colonial Motor Company since 1920, and his 53 years of service, including his 39 year leadership of Hutchinson Motors, were outstanding. He was recognised for his innovation and pioneering spirit and lauded by the motor industry, every Ford dealer, and many overseas, as a great industry figure. Known by his staff as 'The Chief', he had encouraged many of them to develop their talents and, despite a gruff exterior, was loved and revered by them all. His son, Ormond Alexander Hutchinson, was appointed manager of Hutchinson Motors. Later, on November 18 1973, he was appointed a director of Colonial Motor Company. In 1974, when Ford opened another assembly plant designed to build Falcon, at Wiri, it now had more production capacity than any other car manufacturer in New Zealand. Ford cars were also being imported from England and Australia in large quantities. That the public preferred buying the cars built overseas, because the finish was superior, sent a very strong message to Ford and worker unions about their standards. The Tuam Street premises had a major upgrade in 1978, designed by Christchurch architect, Sir Miles Warren. Most of the administration was removed to the upper floor, allowing customers access to sales, parts and service from Tuam Street. The frontage gave a much more modern and unified appearance to what was still a 19th century building. The work was hardly finished when the second oil crisis hit, and government legislated 'carless days', with motorists having to decide which day of the week their cars would stay in the garage. This produced another wave of LPG conversions, and petrol increased in price again, to 41.5 cents per litre, over four times as high as 1972's 10.12 cents per litre. After the 1981 introduction of the Ford Courier Utility and the Laser car range, the staff could not get over the different assembly standards with these Japanese-sourced Fords. When Telstar replaced Cortina in 1983 it was the same and, within a short time, the amount of rectification and warranty work had significantly reduced. Customer acceptance of the new vehicles was high, and Laser shot to No.1 spot in the NZ market within its first year. In 1985 Ford decided the Christchurch market territories would be split in a different way. A line was drawn, giving Sockburn Motors a large part of Hutchinson Motors' territory, including Papanui branch. Hutchinson's staff couldn't believe they would lose a high number of their best customers. Maurie Burrows was then service manager, and recalls 'Hutch' Hutchinson's endeavours to get Ford to see reason. "Hutch hired a helicopter, and flew Ford representation manager Ash Waugh over the city, counting swimming pools in given areas, and then comparing this with the changes, as a measure of customers' disposable income". 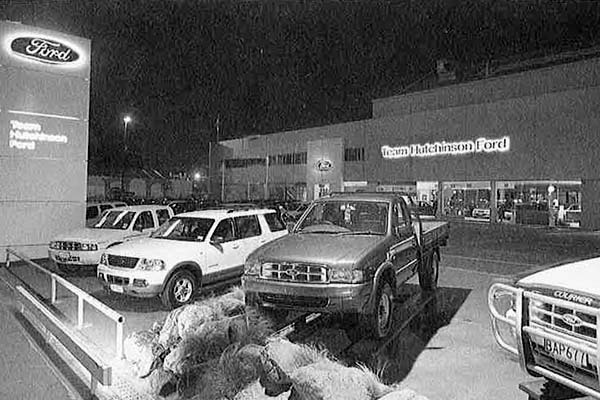 However Ford was resolute, and Sockburn Motors took over Papanui Branch on August 1 1985. Soon afterwards Hutchinson Motors decided to include the whole staff in their new trading name –Team Hutchinson Ford. Used cars were successfully consolidated at the main dealership and the 'Egg Floor' was sold. The late 1980s were a turbulent period for the industry, with the government's new 'free market' policies in force. Market conditions were turned upside down, and imports liberalised. Following the sharemarket crash in 1987, restructuring for survival was necessary. Sydenham branch was transferred to a smaller site at Lincoln Road and the service station and surplus land sold to Mobil. The Magix Computer system was introduced in 1986, with large reductions in office staff, as repetitive clerical work was eliminated. Service was still a major strength, as many customers decided to hang on to their existing vehicles. Staff numbers dwindled but the company quickly adjusted to the new conditions. Hutch Hutchinson, also known as Orm, retired from day-to-day affairs in June 1990, while remaining a director of Colonial Motor Company. Hutch had worked at Tuam Street since 1953, joining as assistant accountant. He became accountant, assistant manager, manager, and was managing director from 1973. Russell J Lange was appointed chief executive on July 1 1990. He joined Hutchinson Motors in 1982 as new vehicle manager, and became general sales manager in 1985. In 1987 he was transferred to Phillips Motors, New Plymouth as manager, returning in 1989 to become manager of Team Hutchinson Ford. In 1989, when Ford introduced a new excellence award for customer service, based on established quality standards, and measured by the dealership's own customers, it was almost as if the President's Award and Distinguished Achiever's Award had been written for Team Hutchinson Ford. The dealership had a culture of looking after customers and had never tolerated any poor practices. After a bad start, when Ford set the wrong sales targets, the dealership excelled, winning seven President’s Awards in a row, and has been in the winner’s circle for the past 14 years. Team Hutchinson Ford applied for ISO9002 certification, as a positive reinforcement of their quality attitude. ISO (International Standards Organisation) guarantees certain specific quality standards, and certification was completed in 1995, after 12 months preparation. As part of facility renewal, the interior of Team Hutchinson Ford's main premises were re-designed, using Paul Goldsmith Architects. The stunning new showroom and customer facility combined large historic photo murals with new vehicle display, emphasising the proud history of the company. 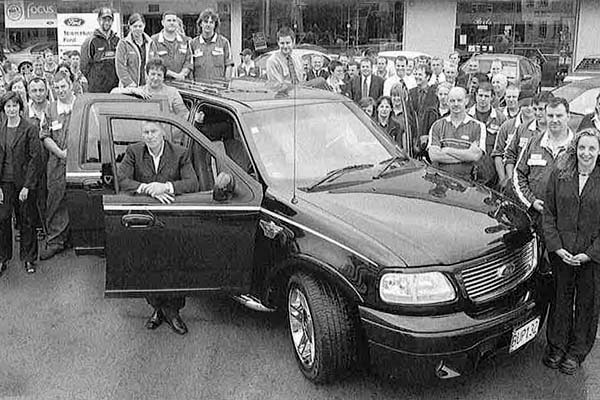 Ford managing director Tony Brigden, and Orm Hutchinson, newly elected chairman of Colonial Motor Company, jointly launched the renewed facility in 1995, with all NZ Ford dealers attending. Ormond A Hutchinson became chairman of Colonial Motor Company in 1995 and also a director of Tower Corporation. In 2000 he died suddenly, closing another large chapter in the company's history. His son, John Hutchinson, is new vehicle sales manager at Team Hutchinson Ford. He started there in 1993. In 2003, three generations of the family had delivered 110 years of commitment to the Colonial Motor Company, a truly remarkable achievement. Today, Team Hutchinson Ford goes forth as a united group, who adhere to their own high quality standards that are also recognised internationally. Their objective is to make their customers completely satisfied. In 2006, John Hutchinson became CEO and Dealer Principal of Team Hutchinson Ford, Christchurch’s leading Ford dealership.